Custom work. 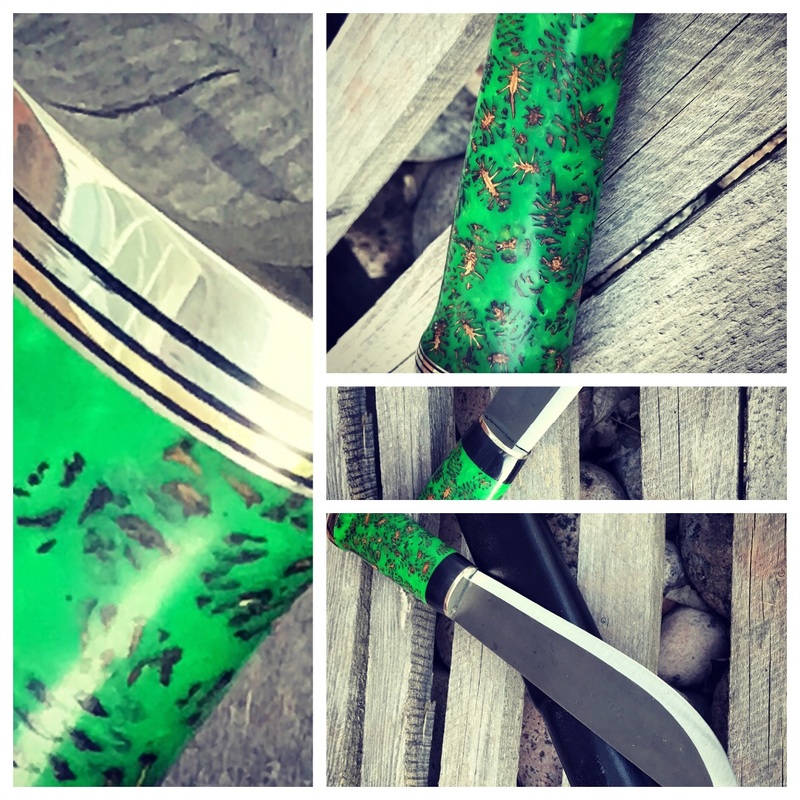 Fällkniven F1Pro. Eben wood. 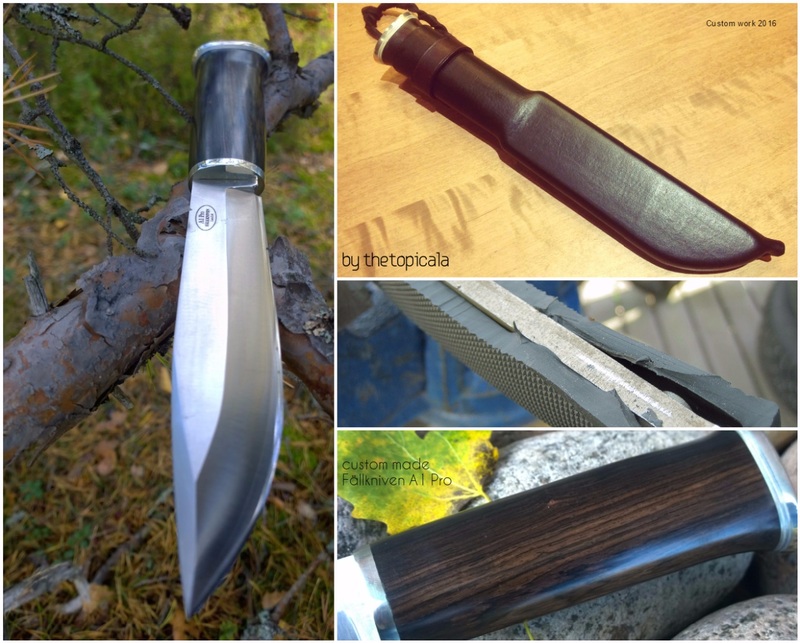 Two puukko knifes and one laplander Two of them carbon steel Roselli blades and one Lauri stainless. Main bodies of the handles are curly birch wood. 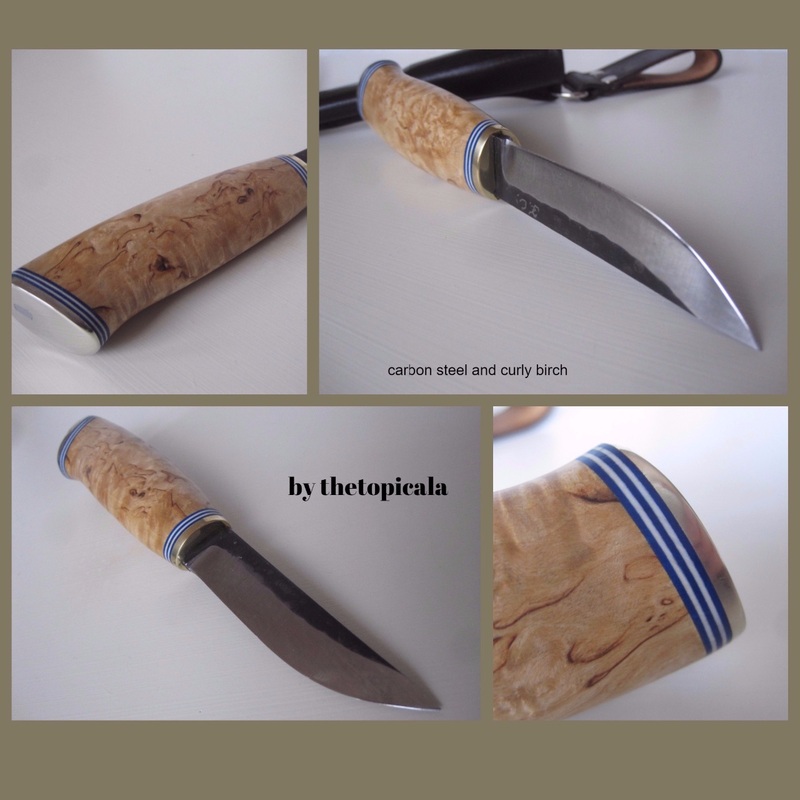 Small Roselli carbon steel blade and cross cut curly birch with white and blue spacers. 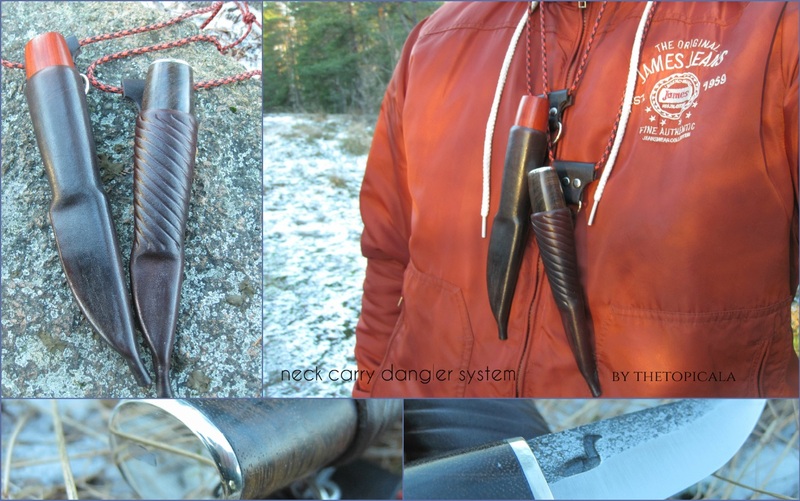 Neck knife sheath with dangler neck loop. 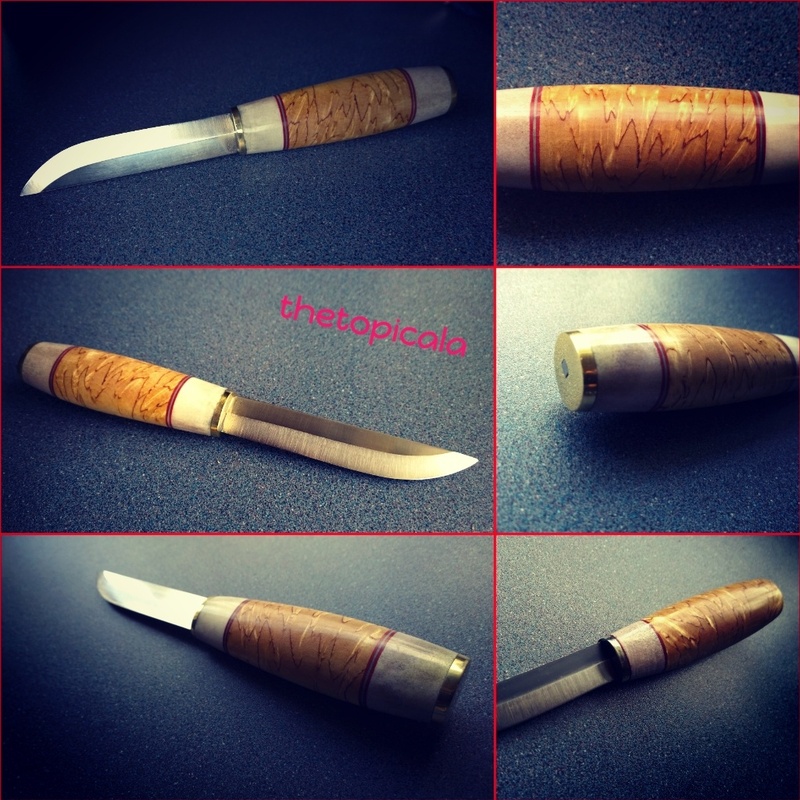 Puukko knive. 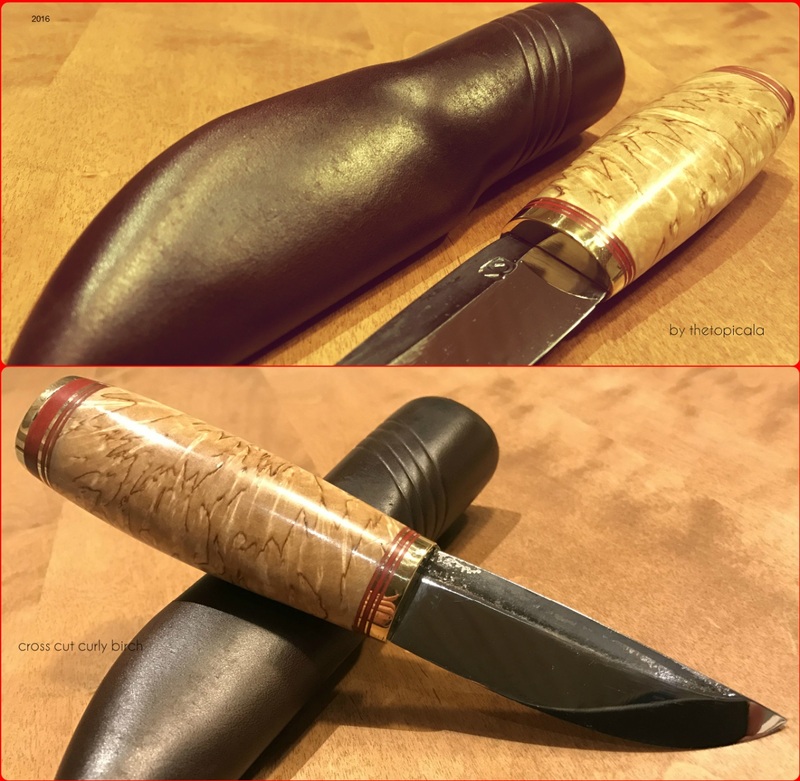 Carbon steel Lauri hammered blade 95mm and finnish curly birch. Carbon steel lauri blade 82mm and tar oil treated cross cut curly birch, moose antler and spacers of vulcan fiber and birch bark. 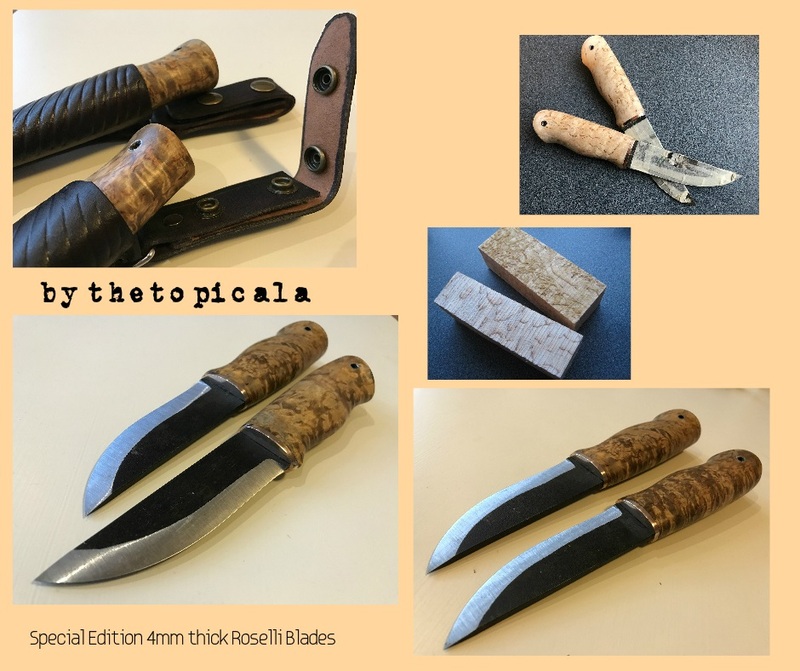 Special request 4mm thick carbon steel roselli factory made blades and thetopicala handles. Tar oil treated curly birch. 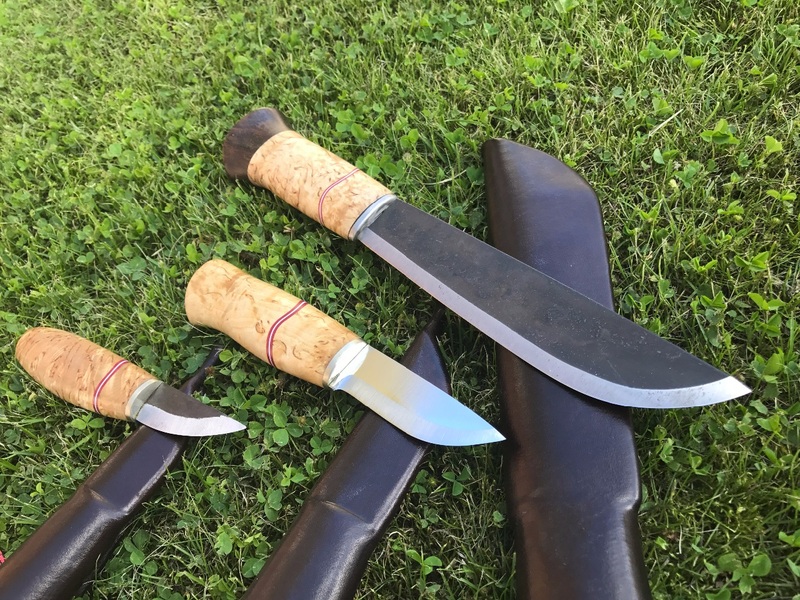 Blades 110mm and total of knifes 230mm. 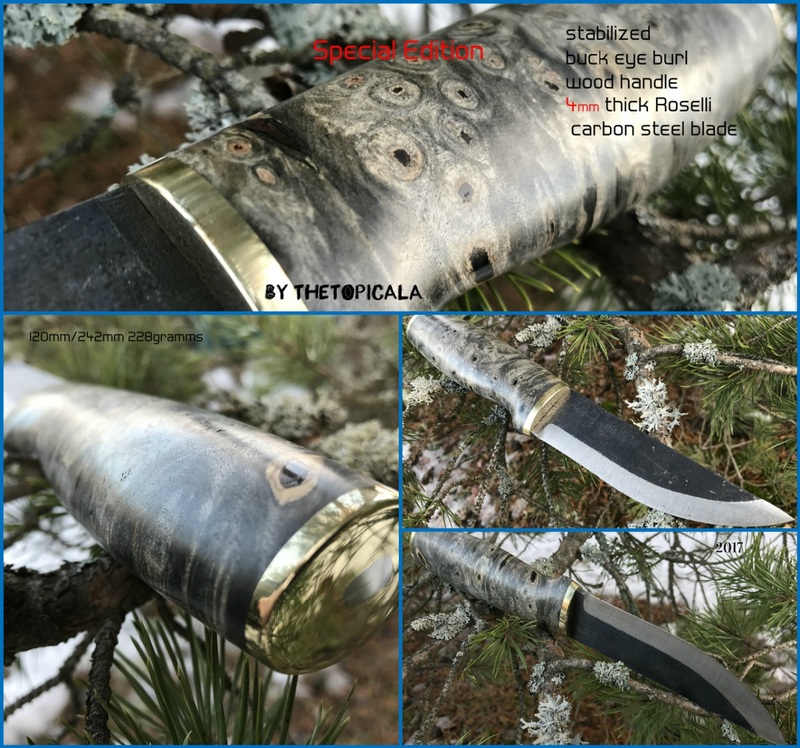 Special edition carbon steel Roselli blade 4 (four)mm thick blade. 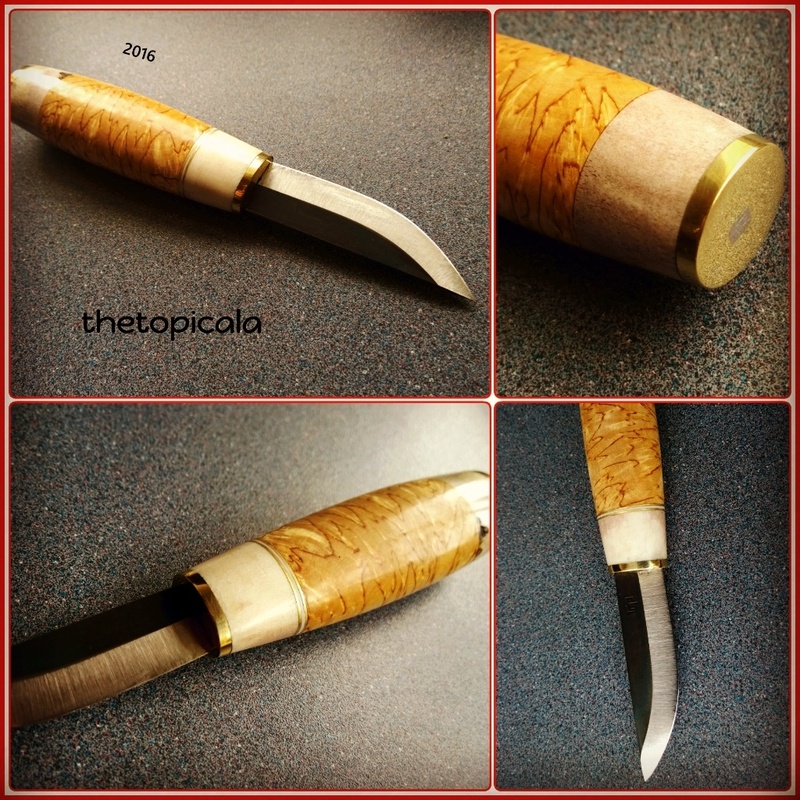 120mm blade/ total knife 241mm length. Handle out of brass fittings. Peened end plate. 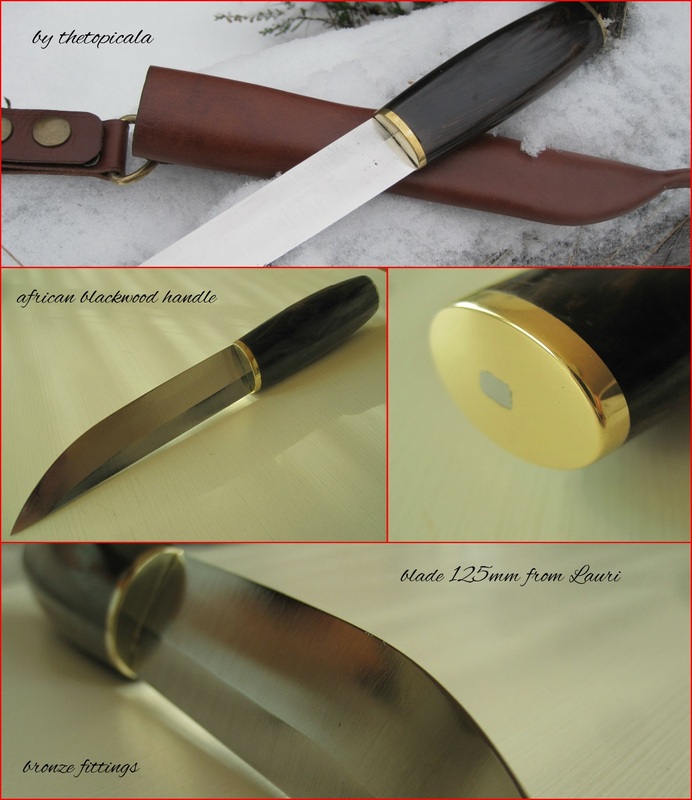 125mm Lauri special blade and african blackwood with bronze fittings. Strong and heavy knifes. 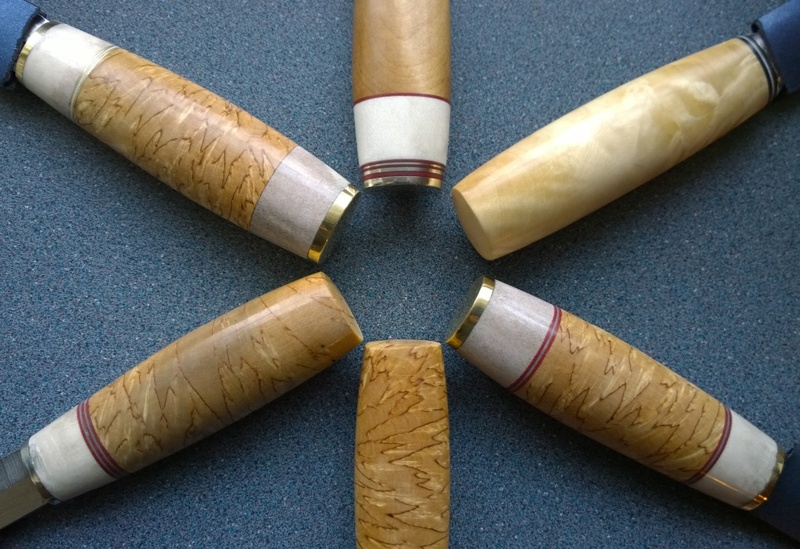 Grenadil and eben wood handles with brass ferrules. 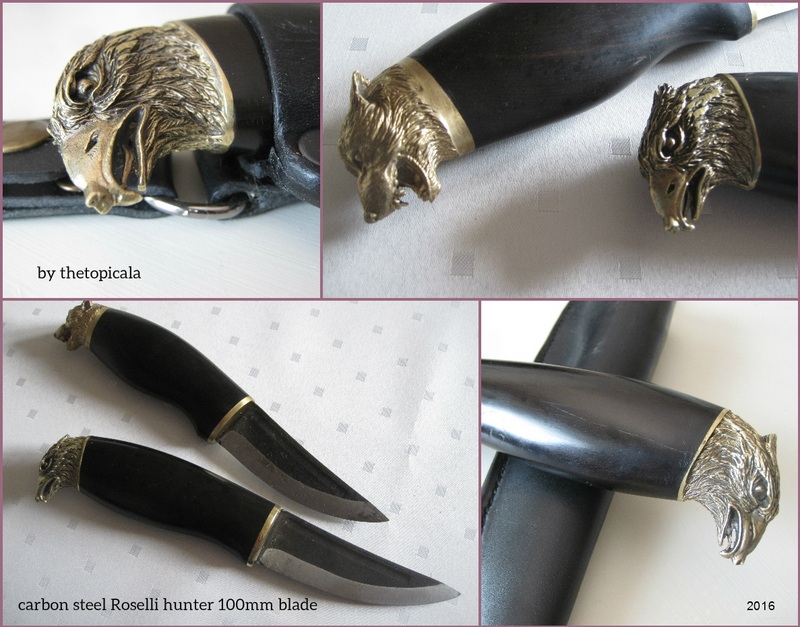 Roselli carbon steel blade 100mm. Story about this old recovered marttiini on my YouTube channel 'thetopicala'. Cross cut curly birch (masur birch) and Puronvarsi 85mm. 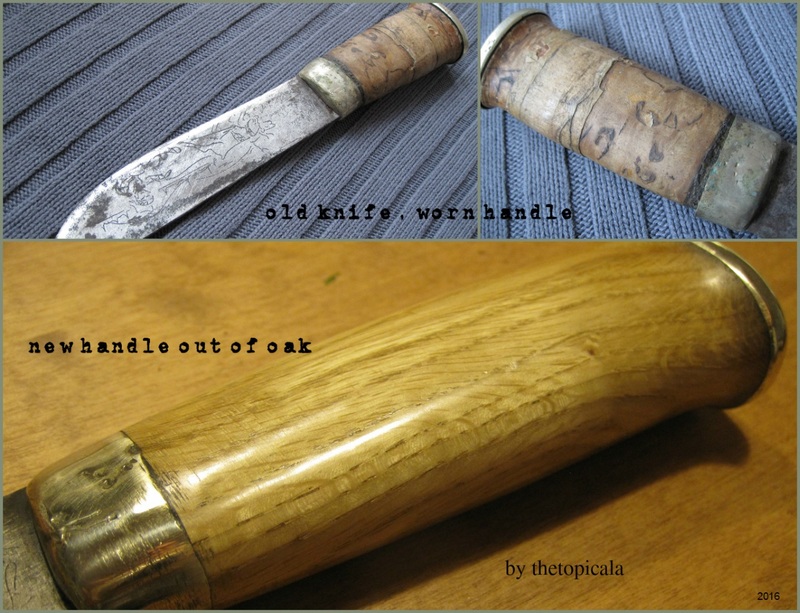 stainless blade and some wood blocks on the handle. Horse tail brush. 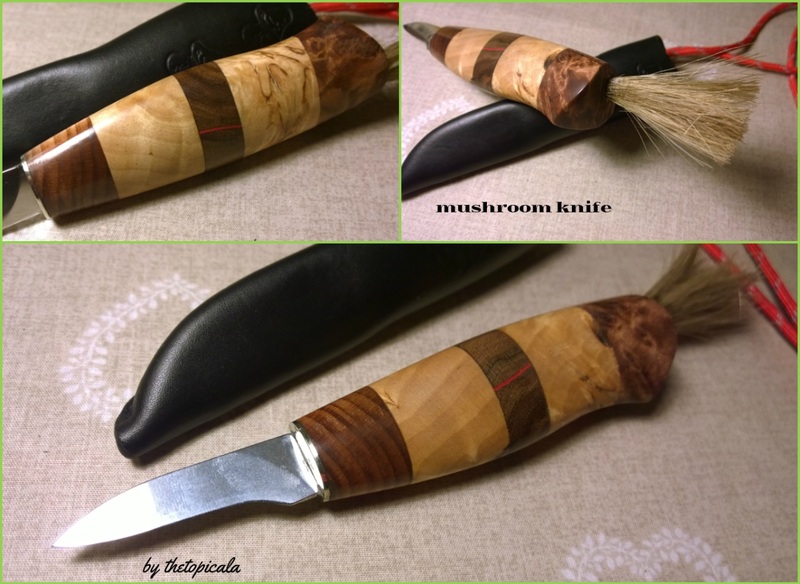 Lauri stainless 105mm blade, cross cut curly birch wood and moose antler with plastic red and grey spacers. 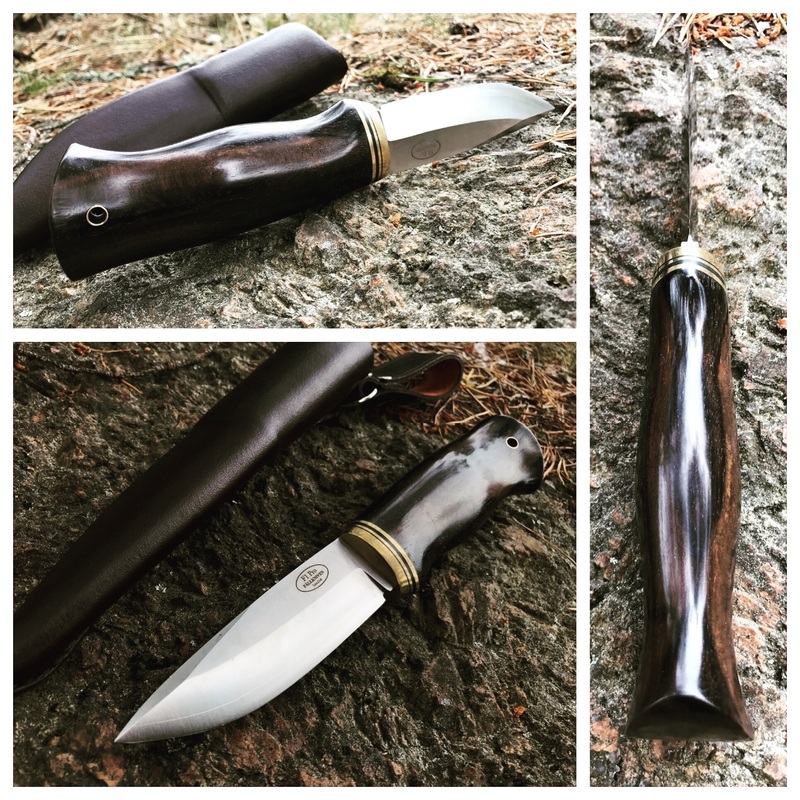 African blackwood handle for Fällkniven A1 Pro and a huge sheath for it. 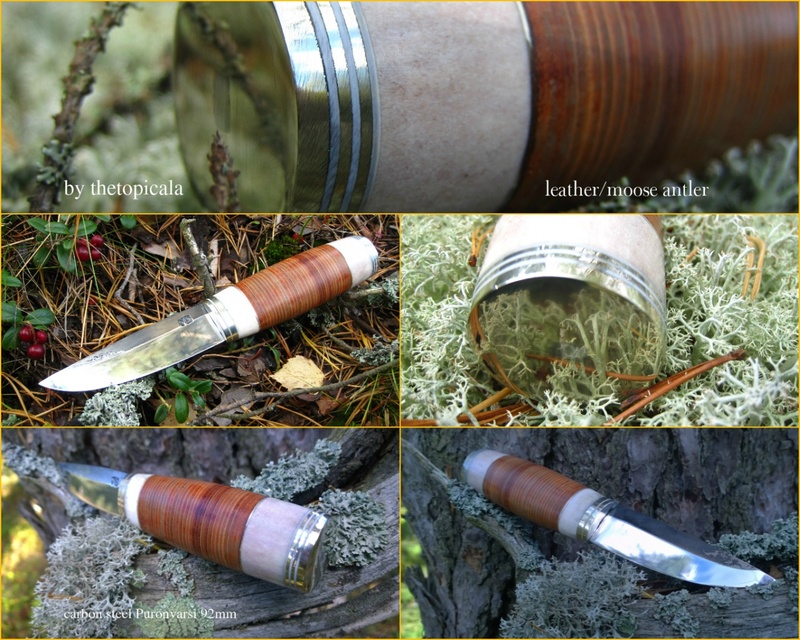 Lauri stainless, cross cut curly birch and moose antler. 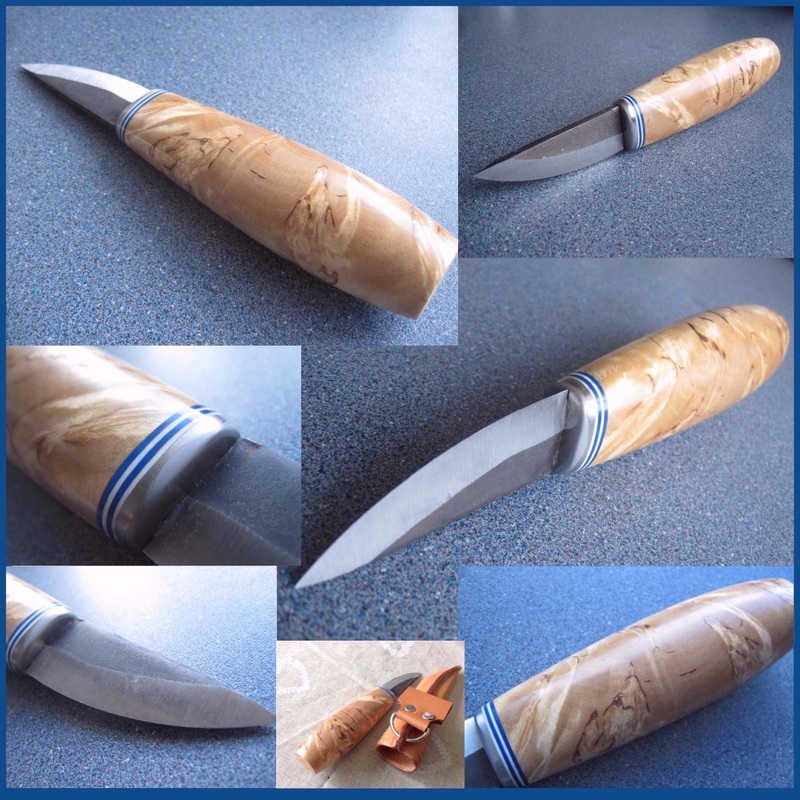 Lauri PT carbon steel, moose antler and cross cut curly birch. 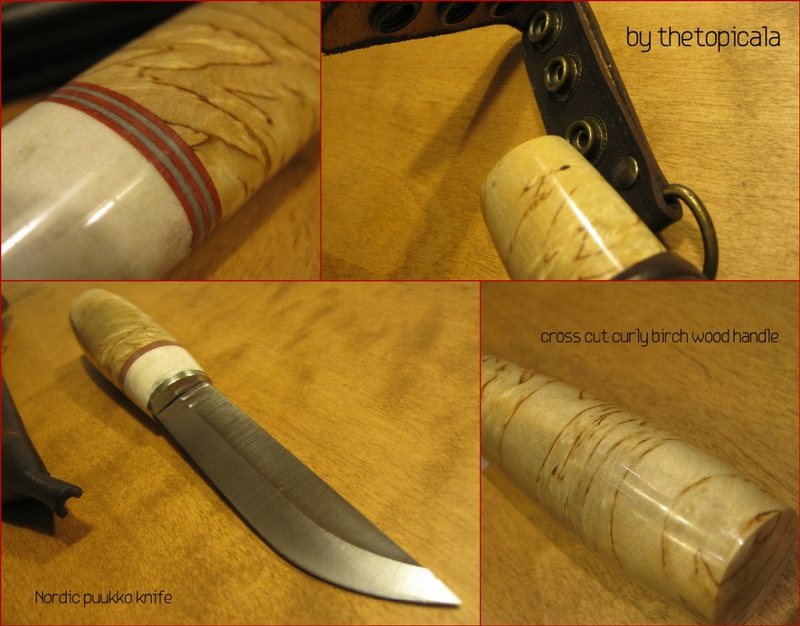 Working with moose antler and birch wood lately. 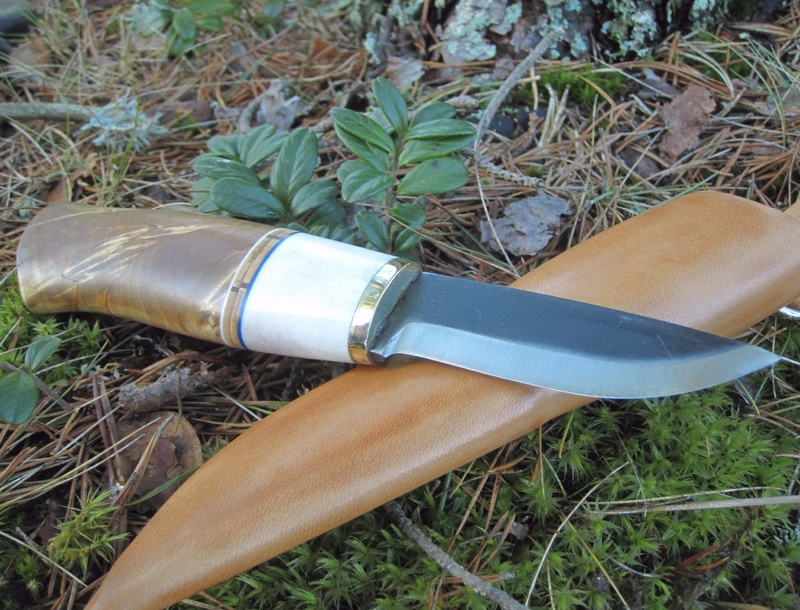 Carbon steel Puronvarsi 92mm blade and handle out of leather and moose antler, Nickel silver plates.